Summer vacation is over, and the kids are heading back to school, so now is the ideal time to get back into the house cleaning that fell by the wayside during the busy vacation season. Vacation time can mean more activities and more visitors, but this can also mean more dust, dirt, germs, and stains around your home. With the kids out of the house, now is the ideal time to clean these five things in your home. Extra traffic, entertaining, outdoor activities in the summer mean extra dirt, germs, and stains on your carpet as well. Now that the busiest season is over but the weather is still warm, it’s the ideal time to have professional carpet cleaning done in your home. Professional carpet cleaning is recommended once a year, and after the summer vacation is a perfect time. Firstly, the weather is still warm, so carpets can dry quickly after cleaning. Secondly, carpet cleaning after summer helps to remove the excess buildup of dirt, mud and potentially harmful germs that may have been tracked in on your carpets during this busy season. Lastly, carpet cleaning in the fall prepares your home for entertaining throughout the holidays, so you have a spotless, clean and healthy home to welcome guests into. The tiles and grout in your kitchen, bathroom or living spaces may also need more attention after the summer vacation. Extra use and warm weather can promote the growth of germs and mold in tiles and grout. Grout naturally collects and absorbs dirt and stains more readily because unlike most tiles, it is porous. Professional tile and grout cleaning can help to refresh and deep clean your tiles and grout to remove stains and germs for sparkling white grout and clean, healthy tiles. Wall-to-wall carpets aren’t the only carpets in your home that may have absorbed dust, dirt, and germs over the vacation. Area rugs can harbor dirt tracked in during your vacation and dust mite populations that developed while you were away just like wall-to-wall carpets. However, area rugs often need particular and gentle care to preserve their delicate fibers and rare dyes. Professional area rug cleaning can help to restore your rugs’ cleanliness while maintaining its beauty. Your chairs, couches, sofas, curtains, and other soft furnishings in your house can quickly absorb dust, dirt, and odors, and with increased visitors and activity during the summer vacation. While vacuuming and dusting can help the surface of your upholstery, it can’t reach the deeper marks, stains, and odor. Professional upholstery cleaning can help to deep clean and shampoo out marks and residues from all soft furnishings, for cleaner, healthier and safer surfaces in your home. During vacation time, house rules might become more lax, with pets playing inside the house, drinks and food on the couch, and more visitors and entertaining all around your home. This can lead to more spills, stains and pet accidents, and if not cleaned up promptly, the odors can absorb into any soft surface, including couches, curtains, and carpets. Even cooking smells, or smoke can stay stuck in your soft furnishings long after the party is over. While odors and pet stains are some of the biggest challenges to a clean home, professional pet stain and odor removal may be the only way to get stubborn odors and stains out. Now that the kids have gone back to school and the summer vacation over, it’s the perfect time to use this quieter time at home to refresh your furniture and surfaces before the holiday season. Get in touch with a local professional cleaning company for a deep clean and complete rejuvenation of your home. Vacation time is great for relaxing and spending time with family and friends. However, it’s not the easiest time to keep your home clean. With more people using your home, and more parties and celebrations, all the extra fun can rub off on your carpet, tiles and upholstery. So what’s the best way to give your home a thorough clean to remove those holiday stains? Here we take a look at the best ways to deep clean carpets, floors and soft furnishings after the holiday celebrations. The first step towards finding the most effective cleaning solution is determining your specific cleaning needs. If your carpets are heavily soiled and stained, and haven’t had a professional clean in over a year, a deep cleaning method may be necessary. If you have more than a couple of red wine and chocolate stains after the holidays, you might need specific spot and stain removal treatment. For a light cleaning job, a dry carpet clean might be ideal. Identifying your cleaning needs helps you find the most effective carpeting cleaning solution for you. If you haven’t had your carpets professionally cleaned for over a year, or your carpets withstood a lot of traffic over the holiday season, professional carpet cleaning is the best cleaning solution. A wet method of carpet cleaning, such as steam cleaning can deep clean carpets reaching every fiber to eliminate buildup of dirt, dust, food particles, stains and odors. If your carpets need a professional clean, but you don’t want to wait for them to dry after steam cleaning, a low moisture carpet cleaning method could be ideal. Talk to your professional carpet cleaning company about the right type of post-holiday clean for your carpets. Wine stains, food spills, and pet accidents are just some of the unwanted features of the busy holiday period. The extra activity and traffic on your carpet can create stains and marks that are difficult for routine cleaning to remove. However, DIY home stain removal can worsen the problem or leave you with carpet bleach spots that are even harder to remove. 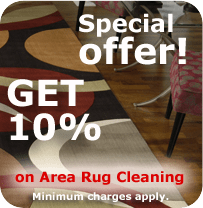 Your professional carpet cleaning company offers expert stain removal that can make the worst holiday stains, and even bleach spots, disappear. This is essential post-holiday cleaning for those who love to entertain or those with pets or kids at home. Even our furry friends love the holiday season, but too much play indoors can mean lingering pet odors or pet stains. Pet stain and odor removal can be very difficult and frustrating to accomplish using DIY methods, but with targeted carpet and upholstery care, your professional carpet cleaning company can clean deep to remove odor particles and refresh your carpet and the air in your home. With more entertaining and more guests, your upholstery and soft furnishings may some extra stains stained and grime after the holidays. Deep cleaning your upholstery and soft furnishings not only help them to look and smell like new, professional cleaning removes dirt, bacteria, allergens and pathogens from upholstery. This helps to create a cleaner, safer and healthier environment in your home for everyone to enjoy. Save your holiday memories but remove the stains and dirt with professional cleaning for your carpets and home. Professional carpet cleaning, stain removal and upholstery cleaning is the most effective way to clean your home completely after the holidays. Carpet stains don’t just look bad, they can gradually detract from the overall atmosphere and appearance of your home, and even damage your home value. It’s essential to maintain your home’s carpet with regular upkeep such as vacuuming, as well as biannual professional carpet cleaning conducted by a carpet cleaning company to remove deep set dirt and stains. But what can you do to prevent stains setting and treat some of the most common stains in an emergency while they’re still ‘fresh’? Here we take a look at 5 of the most common carpet stains and what you can do to save your carpets and maintain their beauty. Drinks like juice, Kool aid, and soda are easily spilled in the home, but nothing stains quite like red wine. If you have a spill with wine or another staining liquid, the most important thing to do is blot up as much of the excess that you can as soon as possible. Be careful not to scrub. Use a clean, white cloth and a CRI (Carpet and Rug Institute) approved cleaner, or otherwise a 1:1 solution of water and white vinegar to gently blot and clean away the stain. Contact your local carpet cleaner as soon as possible for professional stain removal service if there is any stain remnant left. Many of us enjoy a cup of coffee at least once a day, but coffee spills are another source of difficult-to-remove and unsightly carpet stains. Use the same method as above for treating liquid spills and removing fresh stains. Do not use bleach as this can cause permanent damage to carpet and require carpet patching or carpet dyeing to repair. Grazed knees and cuts can happen when playing outside or working around the house, but blood stains are the last thing you want on your carpet. Stop bleeding from the source as soon as you can, and treat the stains as quickly as possible too. Use one cup of cold water (not warm or hot water as this coagulates blood and sets it) mixed with ¼ tsp of a grease-fighting gentle detergent like Dawn to help gently remove the carpet stains. Ink stains can wreak havoc on carpet and upholstery, and great care needs to be taken when treating these stains to prevent them spreading and worsening. Ink stains can be very hard to remove, so the best idea would be to blot up excess ink very carefully using a clean dry cloth, then contact your local carpet cleaning company to help you remove the stain safely. We love our pets, but we may not always love what they do to our carpets. Pets can leave behind urine, vomit or worse on our carpets, not only staining them but leaving distinctive and unpleasant pet odors as well. For the best stain and pet odor removal, clean up messes as soon as possible, carefully removing debris, and blotting up excess fluid. Then work on removing the pet stains and pet odors by blotting with a vinegar solution and cloth for liquid stains, alternating with the detergent based solution for heavier stains. Always patch test any cleaning solution you are using on your carpet in an inconspicuous area first, in order to protect your carpet and get the best results. If you still have stubborn stains and odors, get a professional carpet cleaning company to come and take a look at your carpet and provide expert carpet stain removal, odor removal and upholstery treatment to protect the investment in your carpet and furnishings and keep your home looking spotless.